Greetings from South Dakota and happy powwow week! 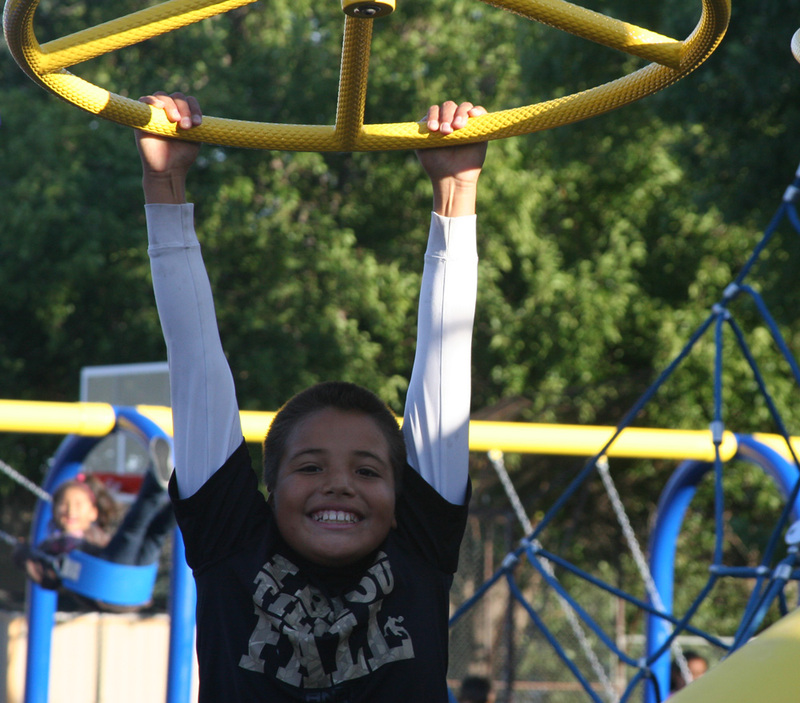 Shouts of joy erupted from the playground when the Lakota students finally got to play on the new equipment! 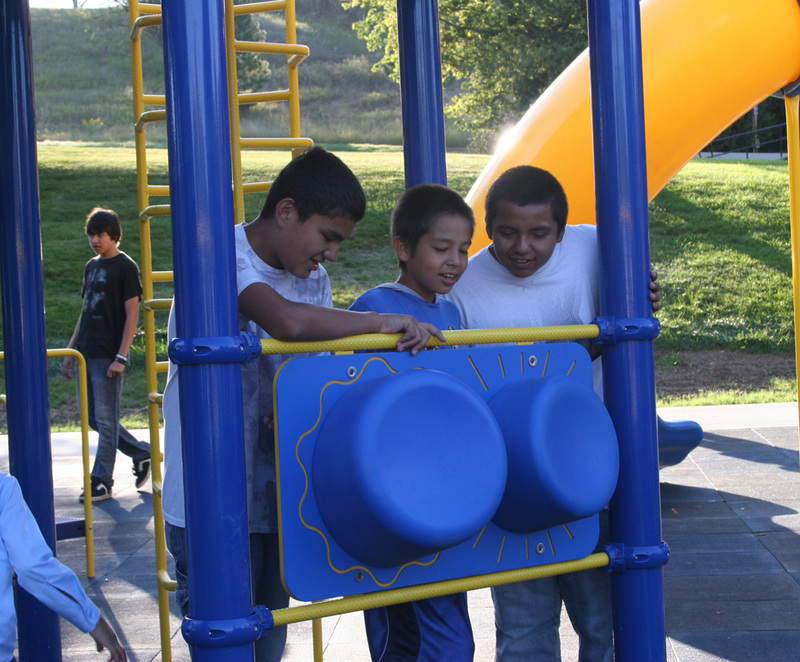 The BIG news today is the blessing of the new playground equipment! Students and staff came out during their first period yesterday morning so we could offer a prayer and express our gratitude to our tiyospaye – extended family – who made it all possible. There was a lot of excitement and glee as they slid, climbed, swung and checked out everything. The kids finally got to play on our new playground! They have been waiting for a month and were incredibly patient. Today it was awesome to witness them experience it for the first time. Yep, all 164 kids at once – priceless!!!!!! If only everyone could have heard the joy that erupted from St. Joseph’s this morning…we are truly blessed!!!!!!! And in the midst of this excitement, powwow week is upon us! Last week we began the process to determine our royalty for the powwow. The students taking part had to write a short essay about why they wanted to be Miss St. Joseph’s, Jr. Miss St. Joseph’s or the Eagle Staff Bearer. They were also asked to demonstrate their dancing skills and answered questions from our panel of judges. The results will be announced Friday afternoon, September 12, at the cultural presentation in the Rec Center. 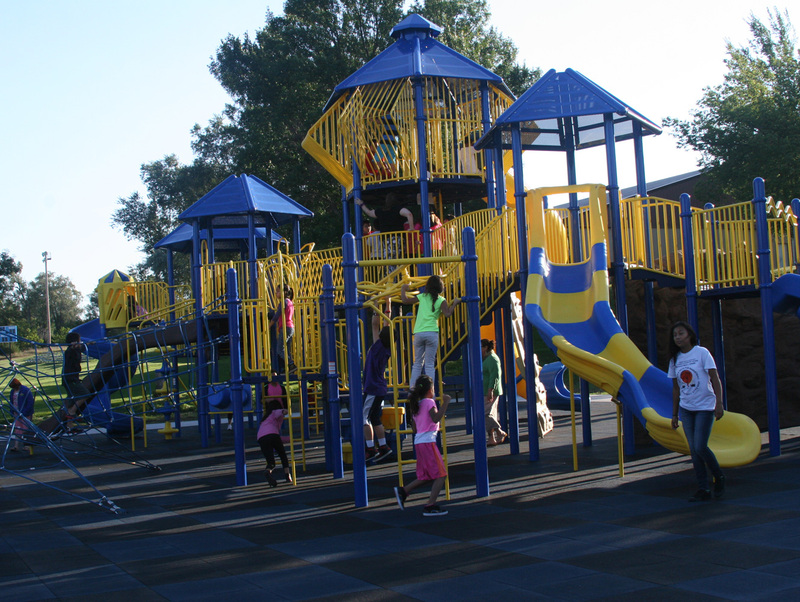 All the Lakota students – big and little – checked out every corner of the new playground. Powwow guests are already arriving at St. Joseph’s Indian School! Our first visitor so excited he came a week early. He knocked on our door Saturday morning wondering where everyone was. Activities officially begin Thursday morning with a bus tour of nearby Indian Reservations (pre-registration required). In the meantime, guests can visit the Akta Lakota Museum & Cultural Center and take in the sites in and around Chamberlain. Check out the full powwow schedule! You can learn more about powwow, including the definition of the event and various dance styles, at www.stjo.org/powwow. I hope each of you has a wonderful week. Please keep us in prayer that we’ll have good weather and a successful event for our Lakota (Sioux) students, their families and all our guests! Wopila tanka – many thanks – for your generosity! So happy that the kids are enjoying their new playground! I hope they have a wonderful time at the Pow Wow. Would love to have been able to attend, my thoughts will be with the children. God Bless. Thank you Eileen â blessings to you too! Thank you Geri â blessings to you too! Hi Father Anthony .. so happy the kids are finally able to use the playground! Pow wow on my bucket list.. Enjoy!!! Thanks Toni â weâll be thrilled to have you!